Sir Henry Wade Deacon was a son of Henry Deacon, a major industrialist and one of the first entrepreneurs to establish chemical works in Widnes. Henry Deacon counted Michael Faraday, one of the most influential scientists in history, as one of his family friends and he himself filed a large number of patents for discoveries in alkali manufacture and presented a number of papers to distinguished learned societies. He also played a significant part in public life in Widnes. One of Henry Deacon’s seven sons and four daughters, Sir Henry followed in his father’s footsteps. 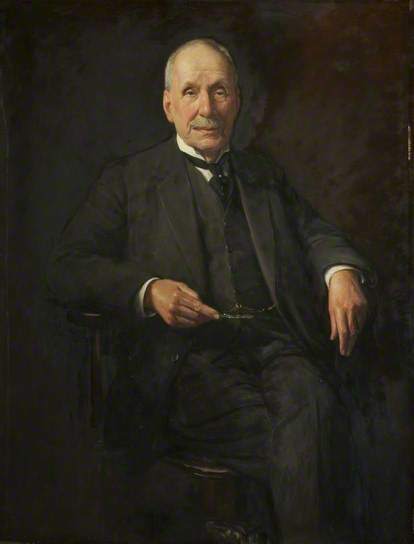 He had a strong interest in science and education and was a prominent figure in Widnes and the wider area, acting as a Justice of the Peace and Pro-Chancellor of the University of Liverpool from 1930 to 1932. He also served on what’s now Lancashire County Council and in July 1912, was presented with the Freedom of the Borough of Widnes for his extensive work in the educational field. In 1931, the local grammar school opened its main building opposite Victoria Park in Widnes and named it Wade Deacon Grammar School in recognition of his work for many years as chairman of the Local Education Committee. Now Wade Deacon High School, it traces its history back to 1507, when the original grammar school was founded by Bishop William Smyth. In the 21st century, the school’s focus on science and technology continues Widnes’ long tradition as a major chemical town. 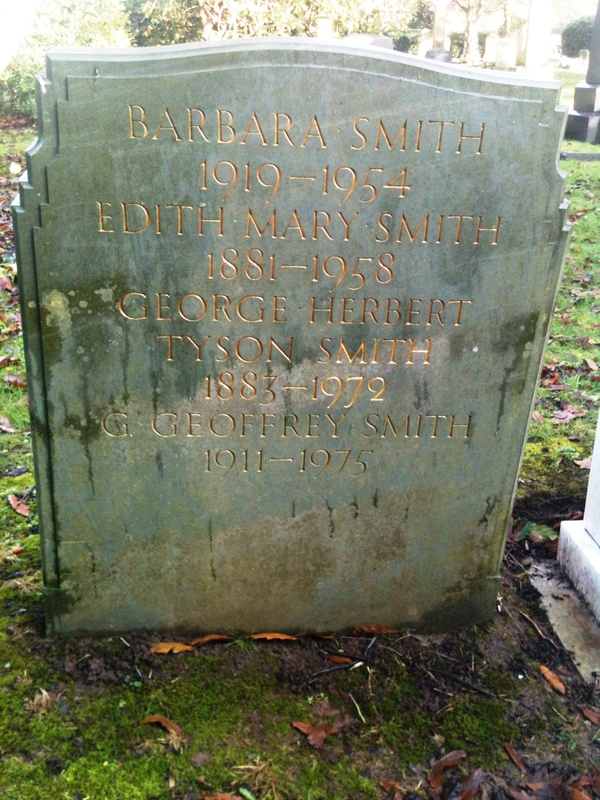 The legacy of George Herbert Tyson Smith can be seen throughout the Liverpool and Merseyside area. Born in Liverpool in 1883, he was first apprenticed to a stonemason, then studied at Liverpool University and the Liverpool College of Art. He established his own practice in 1912, but was interrupted by serving in the Royal Flying Corps during WWI. Post-war, he set up his first studio, later moving to a larger one behind the Bluecoat Chambers in 1925, where he lovingly carried out some restoration work after bomb damage in 1941. He was much sought after during his lifetime for his work on war memorials, on Merseyside and beyond. Perhaps the most striking of these is Liverpool Cenotaph, located on The Plateau directly before the entrance of St George’s Hall. 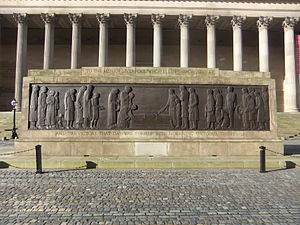 First proposed by the Lord Mayor of Liverpool in 1920, the high rates of unemployment after the war delayed fund-raising efforts and a temporary wooden cenotaph was wheeled into position annually until 1930, when the one we see today was unveiled. The Cenotaph, designed by architect Lionel Budden and featuring panels by Smith, is unusual both for its horizontal design and the powerful and modern, realistic portrayals of soldiers and mourners. On one panel, row after row of uniformed men march onwards, as if to war. On the other, a group of mourners in 1920s clothing pay their respects against a backdrop of war graves stretching into infinity. If you get close, you’ll see the exquisite detail – every button, shoelace and fingernail is beautifully portrayed. Tyson Smith’s work also included the Liverpool Post Office War Memorial, now located in the Met Quarter, and carving lettering and sculptures on many significant Liverpool buildings such as the dolphins, starfish, seahorses, mermen and other nautical details on the outside of Spinney House in Church Street, originally built for Littlewoods stores. His bronze panels for the former Martins Bank on Water Street can be seen in Merseyside Maritime Museum. 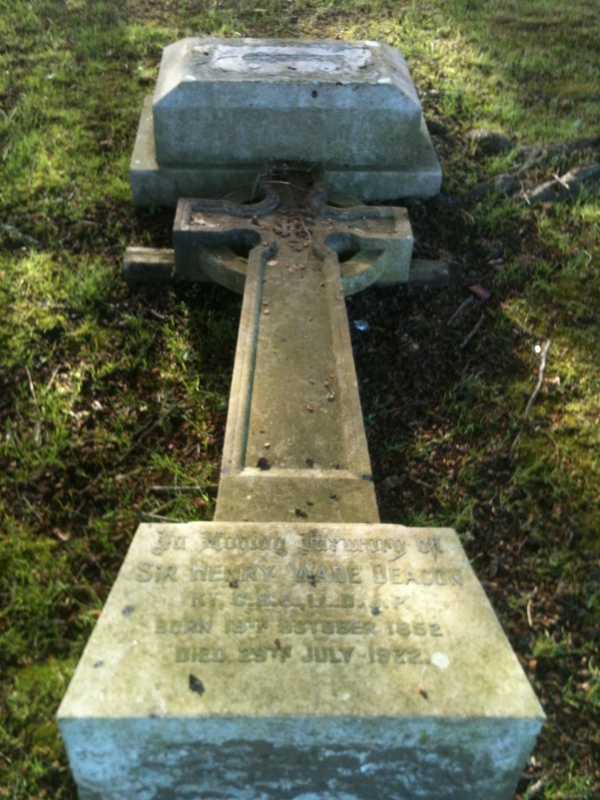 Herbert Tyson Smith died in 1972 and is buried in Allerton Cemetery. William Mackenzie was born in Nelson, Lancashire in 1794 and began his working life as an apprentice weaver, but soon turned his attention to civil engineering. He became one of the leading civil engineering contractors of his era, working on projects such as railway tunnels between Edge Hill and Liverpool and further afield, railway projects in France, Spain, Belgium and Italy. He died at 74 Grove Street, Liverpool in 1851. “In the vault beneath lie the remains of William Mackenzie of Newbie, Dumfriesshire, Esquire who died 29th October 1851 aged 57 years. Also, Mary his wife, who died 19th December 1838 aged 48 years and Sarah, his second wife who died 9th December 1867 aged 60 years. 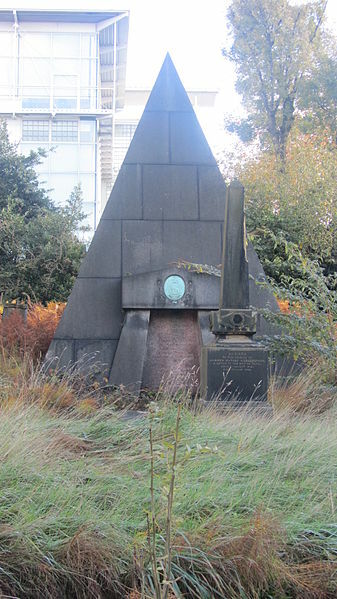 This monument was erected by his Brother Edward as a token of love and affection A.D. 1868. The memory of the just is blessed”.